Click the button below to add the 5.11 Tactical Range Ready Bag Black to your wish list. Designed to withstand rigid range activities, the 5.11 Tactical Range Ready Bagis the ultimate range bag for carrying multiple pistols with all the necessary range gear and accessories. 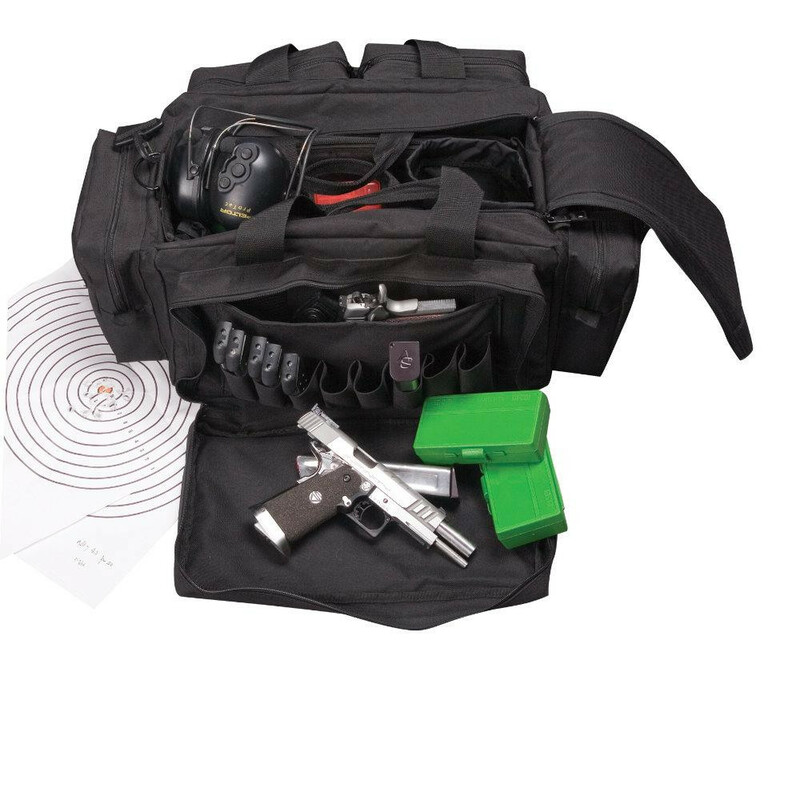 This range bag has a removable ammo tote and brass bag that can be removed at your convenience. To allow you store and organize your extra magazines, it has a large padded external compartment designed to accommodate eight pistol magazines. In addition to that, it also has two side pockets that are also padded to protect your pistols while stored. An external water bottle holder is also incorporated in the bag. With durability and exceptional value in mind, 5.11 Tactical designed this tactical range ready bag with 600-denier polyester and YKK zippers to ensure exceptional performance in carrying all your gear. Its carrying handles and straps are made from heavy duty nylons, triple stitched to bear the weight of your ammo, pistols and other accessories. All these features, plus its exceptional performance value, make the 5.11 Tactical Range Ready Bag your best choice for an always ready bag.